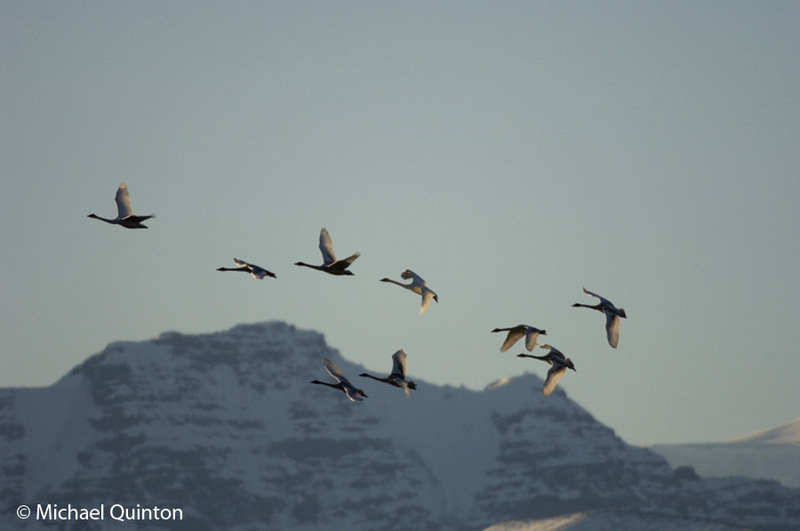 A family group of tundra swans flies over Wrangell/St. Elias National Park in early October. 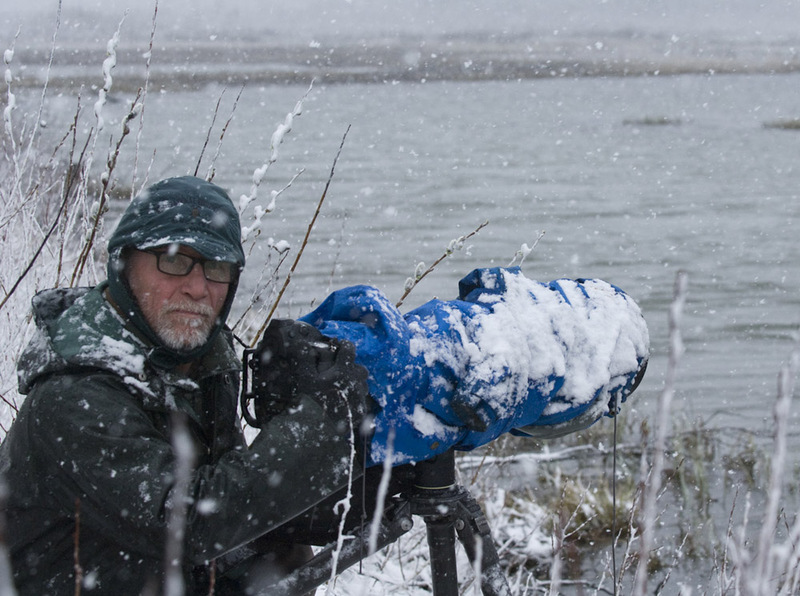 By mid October, open water becomes harder and harder to find and most waterfowl, ducks geese and swans, have already left Alaska. But the past two evenings, after dark, I heard migrating swans somewhere overhead. 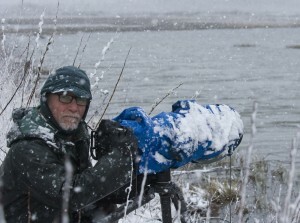 There were both tundra and trumpeter swans calling. 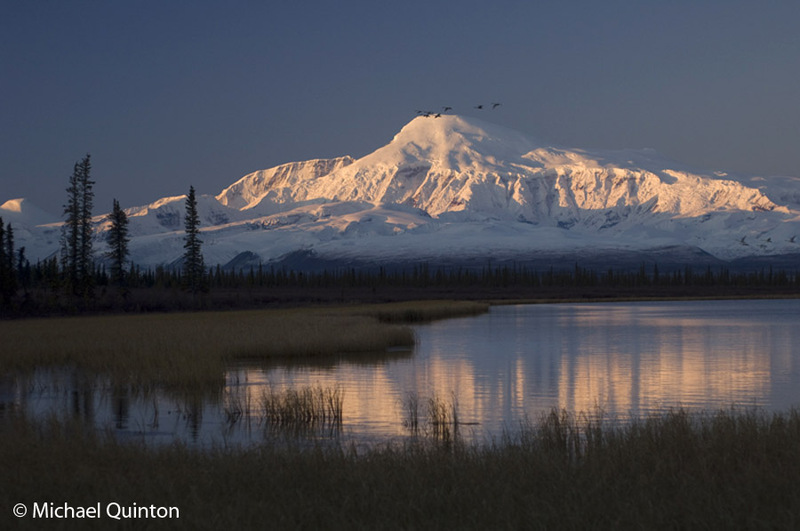 Tundra swans over the Wrangell Mountains. As the waterfowl migration winds down another spectacular migration is underway. 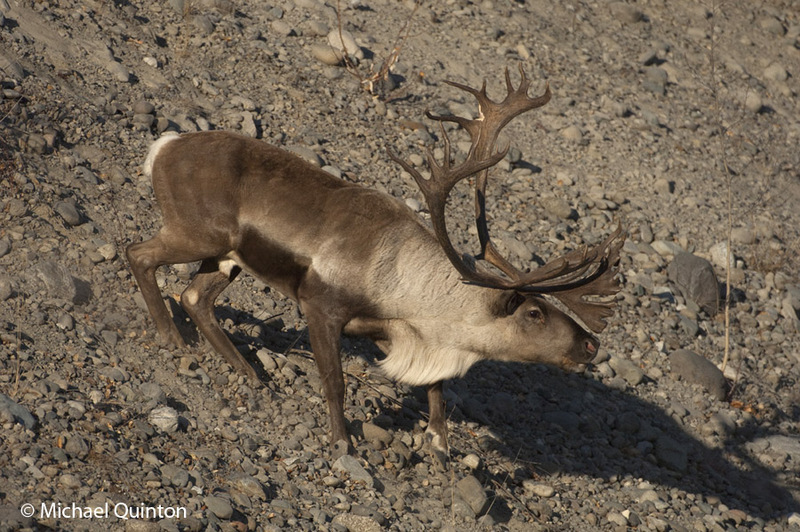 Caribou are on the move. 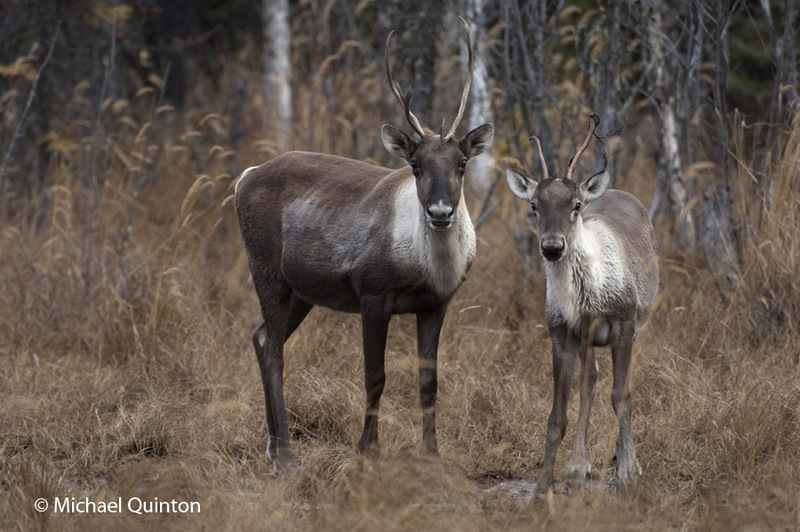 Unlike waterfowl, caribou migrations are impossible to predict. 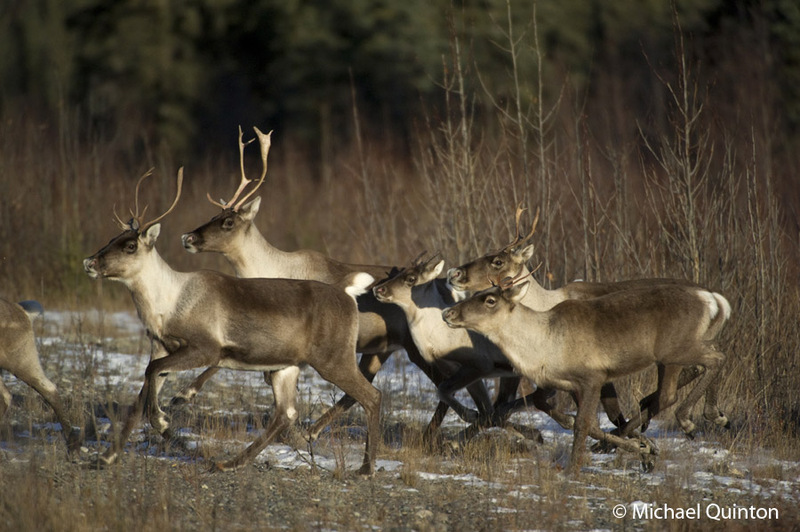 The timetable and the routes caribou migrations take change from year to year. 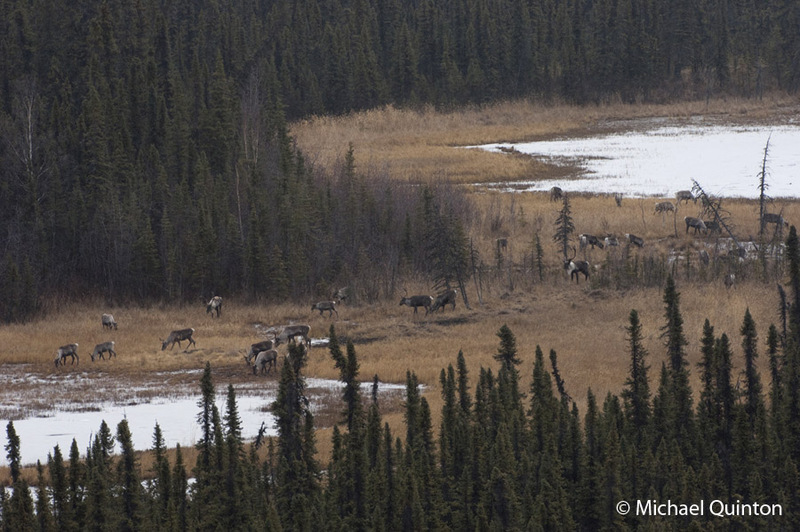 One proven technique for getting caribou photographs is both simple and tough. 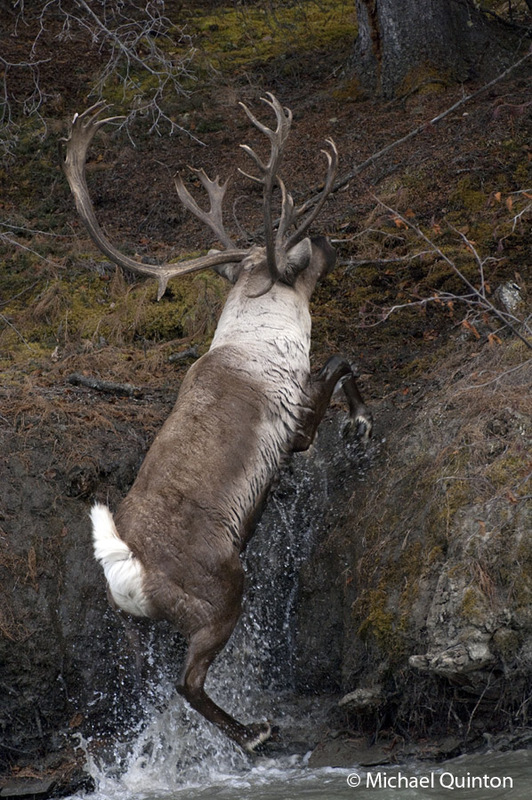 Simply find a trail being used by caribou and, the tough part, pick a good spot and wait. This entry was posted in migration and tagged Alaska, caribou, naturalist, tundra swans, wilderness on October 20, 2014 by admin.